This is the first of several Valentine's Day cards I have created. 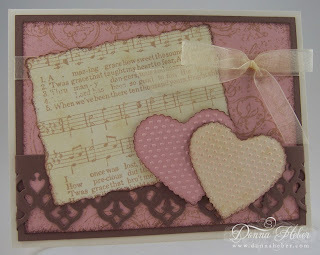 The Amazing Grace stamp is from Heartfelt Creations. Love the color combo..can't wait to see more! Love the vintage look ... so elegant and gorgeous to look at! beautiful card donna, I love your lace border. I love Valentine's and this is a very classic Valentine! A beautiful valentine, love the colour and antique look. I have left you an award on my blog, for all your fabulous creativity you share, and all the encouragement & inspiration you have given me. Thanks Donna. What a beautiful valentine card. 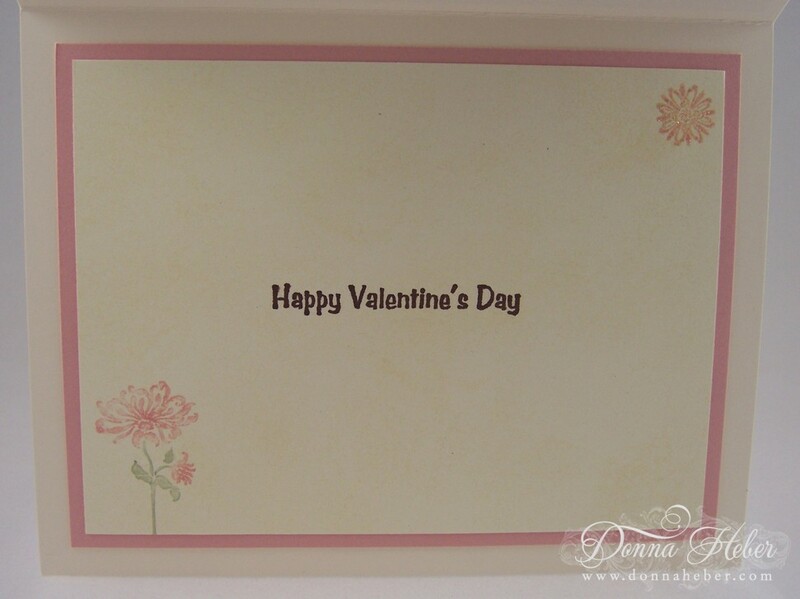 Love how you embossed the hearts Donna, great colors. Gorgeous card. Like the use of the music background stamp. Donna this is a very pretty Valentines Card. The border really makes this card stand out...very nice! Oh you are so good! I think I am skipping Valentine's this year! LOL Maybe next week...thanks for the inspiration! nice!!! the vintage style and soft colors are beautiful!! Wonderful cards, i love the colors. Im not to much into the vintage look, but these are great! i think i might have to rethink the whole vintage look. I really like your Amazing Grace musical background...to me that is the beginning of love! So soft and pretty too!! Pretty card. Love the pink and cream colors together and that punched border.